I have been the owner of the 1967 BMW R69S for Sale for 10 years. This old "matching numbers" BMW motorcycle was professionally restored between 2009 and 2010. The mileage is currently just under 26k and i have ridden approximately 2k miles on it since the completed restoration. The R69S was completely taken apart and inspected and its paint is perfect. and then let's talk about this one! 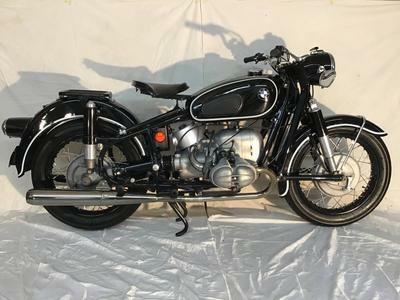 The restored 1967 BMW R69S starts on the first kick and features many, many new parts. This vintage BMW motorcycle has a current Georgia title. If you are interested, email me, Silas, using the comment form below provided by GoGoCycles Used Motorcycles for Sale.